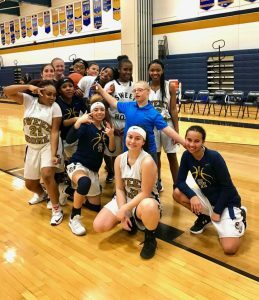 “The Sweet Home girls JV basketball team extended an invitation to have one of our enthusiastic, self-contained students join us on the bench for one of our final home games. 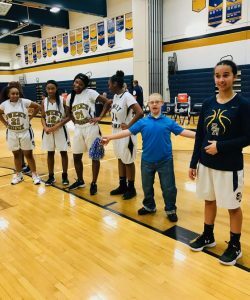 He accepted the invite with excitement! 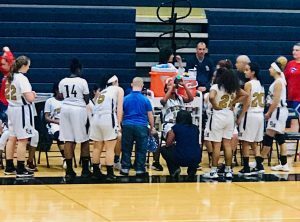 He came and helped us during warm-ups, during our half-time pep talk, cheering, dancing, and on the bench keeping us motivated to come back and win the game from a beginning deficit. 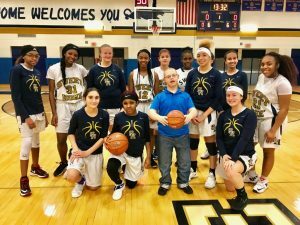 He was our good luck charm, supporter, and assistant coach on Tuesday, Feb. 6th’s game versus Will South. 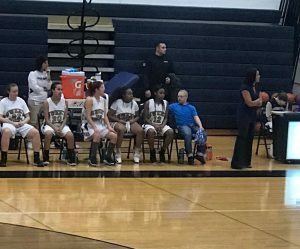 With such a positive impact from his presence, the girls want him on the bench the remainder of our season! 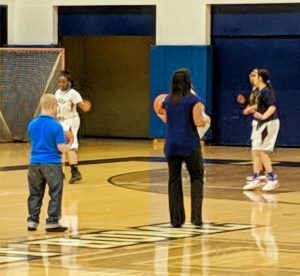 In thanking “Nicky V” for helping out our basketball family, the girls presented him with an autographed basketball and, of course, a blue pom-pom!